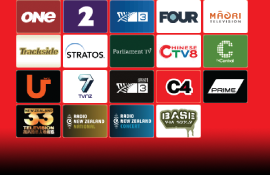 Magic TV™ MTV3700TD brings high-end Magic TV™ recording features and ease-of-use to the fantastic New Zealand Freeview | HD® broadcasts. Massive 1000GB (1TB) capacity can record up to 500 hours! The dual tuners can record two Freeview | HD® channels simultaneously ensuring that you never miss your favourite programmes while the intuitive Magic TV™ interface provides total control over all the digital High Definition and Standard Definition TV services. MTV3700TD includes a second amplified HD digital tuner to simultaneously record any 2 channels in the same lossless high quality. A huge 1000GB HDD comes as standard, capable of recording up to 500 hours of programming! Phone ringing? Someone at the door? Don't want to miss a thing? Simply pause Live TV and catch up at your leisure. Missed a bit of dialogue? No problem. Rewind Live TV and you can watch it again. Choose 'Record Whole Series' from the Freeview EPG to reliably record every episode - even if the time changes! Add bookmarks to recordings and skip between them, or trim out whole sections of unwanted footage to save time and disk space (see FAQ for more information). You can now seamlessly expand your storage capacity by connecting one or more USB disks to Magic TV™. Recording, copying, moving, editing and playback from these disks is all fully supported. You control how they are used. Note: Recordings are encrypted and can only play on the unit which originally made the recordings. A folder system allows you to organise and find recordings quickly. Simply find a programme and send it to the desired folder. 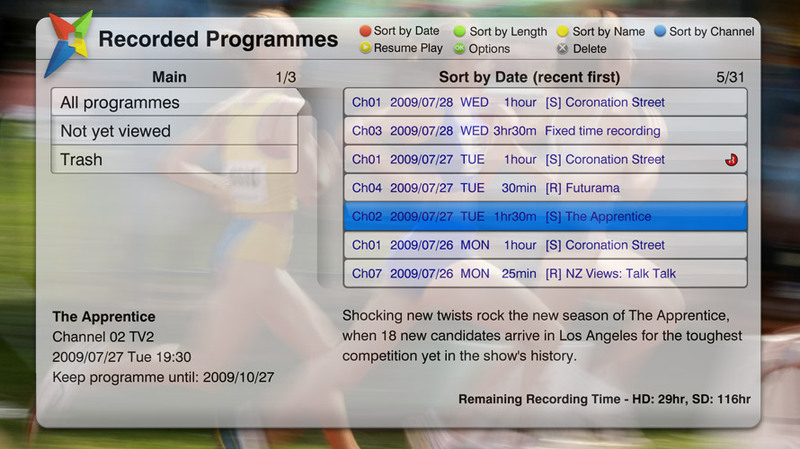 The recording will still be displayed in the 'All Programmes' list so that you easily keep track. Browse and play your AVCHD Camcorder movies and use Magic TV™ remote control to manage playback. You can also copy movies to the internal HDD to store and play (see FAQ for more information). Once you have installed Magic TV™ in your home, there are no activation fees and no subscription fees to pay. Simply enjoy and record the additional Freeview | HD® channels right away. Magic TV™ can upscale all of your programming to match your display - right up to 1080p, so even Standard Definition programmes have never looked clearer. For TVs fixed at 60Hz, Magic TV™ can even smoothly convert 50Hz to 60Hz for judder-free video. Step-by-step guided setup, clear menus, 8-day electronic programme guide (EPG) and 'at-a-glance' front panel display, all combine to provide easy operation for the whole family. Pixel Magic have a reputation for superior audio and video quality and every component has been chosen especially for its ability to communicate every detail available from the digital High Definition broadcasts. Supports 16:10 for PC monitors as well as the more usual 4:3 and 16:9 modes for normal and widescreen TVs. The aspect ratio of the subtitles can also be set individually for each channel, ensuring optimum readability. 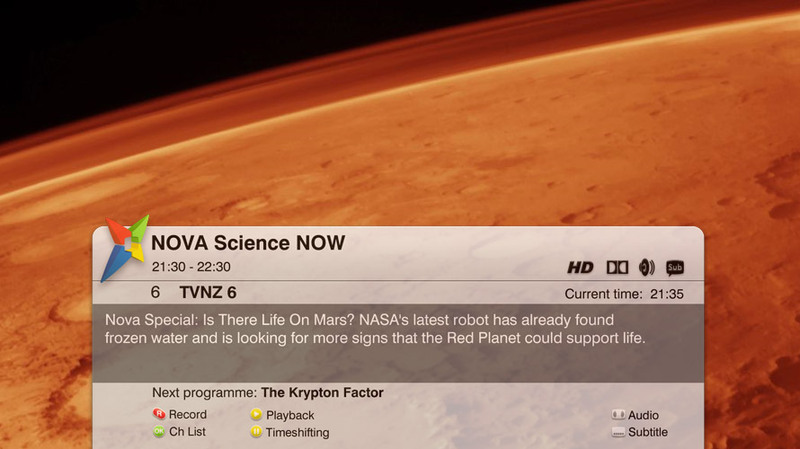 One Touch Channel Select and ‘Favourites’ speed up channel hopping. Helpful shortcut keys exist throughout the system so speed navigation. Simply plug a Magic TV™ USB Wi-Fi Adapter (available to buy separately) in to the back of Magic TV™ to wirelessly receive Live News & Weather feeds and firmware updates from your internet-connected wireless home network (802.11N, 802.11g or 802.11b supported). 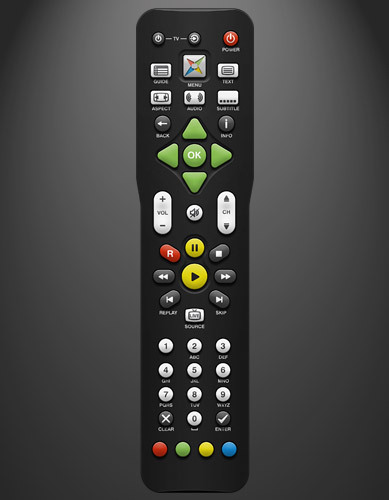 Use your iPhone, iPad, iPod Touch or Android 2.2 device as a Remote Control! No need to keep track of a remote when your phone is always with you. Use your iPhone to control more than one Magic TV™ in the same room. The screen looks exactly like the familiar Magic TV™ Remote Control. Receive Live news and weather RSS feeds from the internet direct to the Magic TV™ interface. Just connect Magic TV™ to your home network or broadband router. Supporting MHEG-5 Interactive TV services and capable of decoding MPEG 2, MPEG 4 AVC/H.264; Magic TV™ is ready for years of service at the heart of your entertainment system. Firmware updates can be easily installed Over-The-Air or via USB. 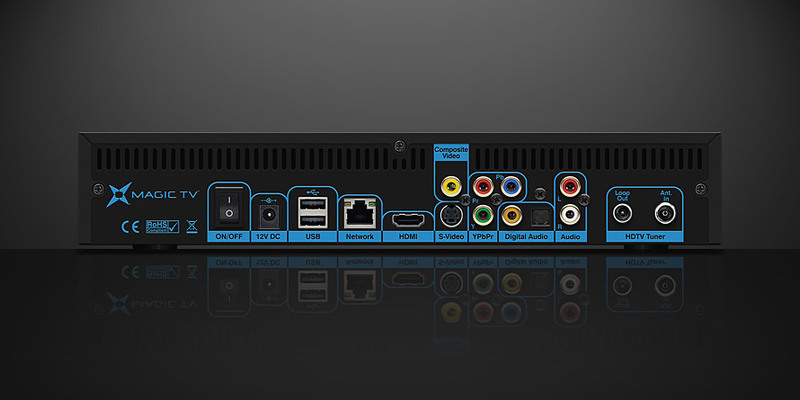 MTV3700TD features a comprehensive set of outputs so that you can make the very best connections to your TV. HDMI can take 1080p digital video and multi-channel audio over just one cable to minimise wiring and deliver maximum High Definition quality. Lead-free electronics throughout and a new power-saving mode help reduce the environmental impact. Note: New ultra low power mode can affect automatic firmware upgrades and updates to programme schedules. Via external USB, via the internet or Over-the-Air. Power supply: +12V DC. 100-240 VAC auto-ranging power adapter included. Power consumption: 20W (max). Intelligent power saving mode is included. © 2011 Pixel Magic Systems Ltd. All rights reserved. 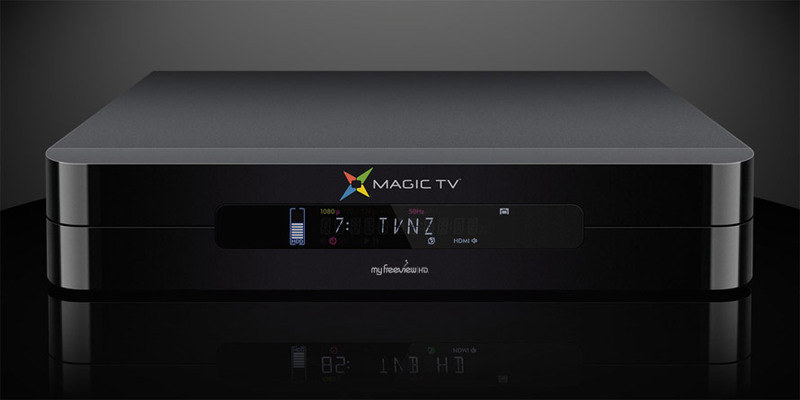 Magic TV and Pixel Magic are Trademarks of Pixel Magic Systems Ltd.
Freeview | HD and MyFreeview | HD are Registered Trademarks of Freeview Ltd. All other trademarks are properties of their respective owners.